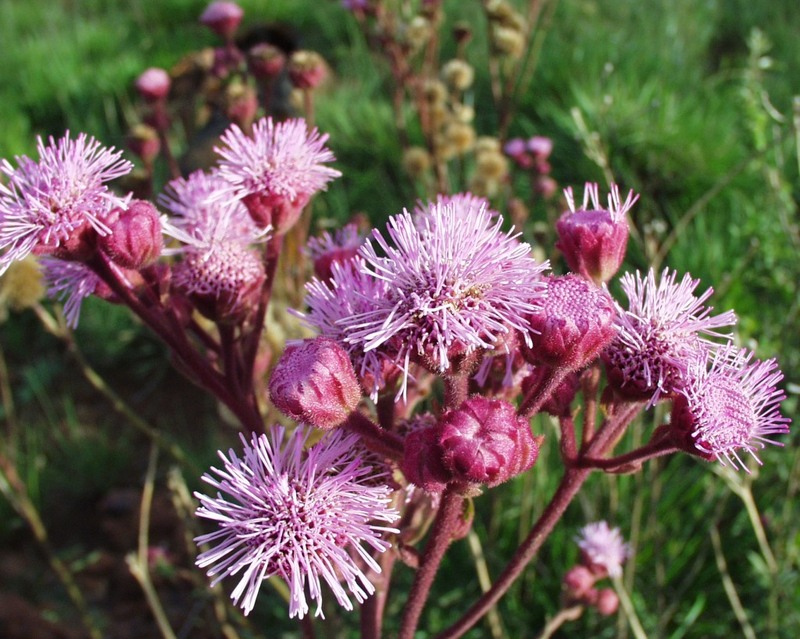 Following the suggestion of John Whillier (SCE127), to publish a list of invasive species, I decided to publish a page on this, hopefully prompting people to look at their properties and remove these plants. Although I have provided a link to the official website describing these plants in my January Information Letter (Downloads – Celtis africana January 2014), I realised that landowners might want to refer to the link at a later stage, and, instead of them going through all the letters trying to find the link, it is worthwhile having a special page dedicated to this. 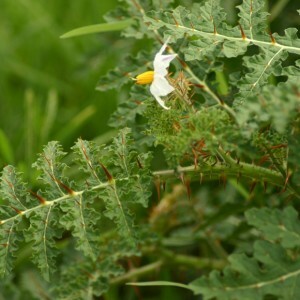 The list is too long to copy here, but once again the official link to Invasive Species South Africa (ISSA), is provided here. Remember, it is each and every landowner’s responsibility to remove invasive species on his/her own property. If one leaves but one invasive plant it can and will spread and, living in the Cradle, a World Heritage Site, I think we should all be pro-active and do our best to remove these plants. Category 1a: Invasive species requiring compulsory control. Remove and destroy. Any specimens of Category 1a listed species need, by law, to be eradicated from the environment. No permits will be issued. Category 1b: Invasive species requiring compulsory control as part of an invasive species control programme. Remove and destroy. These plants are deemed to have such a high invasive potential that infestations can qualify to be placed under a government sponsored invasive species management programme. No permits will be issued. Category 2: Invasive species regulated by area. A demarcation permit is required to import, possess, grow, breed, move, sell, buy or accept as a gift any plants listed as Category 2 plants. No permits will be issued for Cat 2 plants to exist in riparian zones. Category 3: Invasive species regulated by activity. An individual plant permit is required to undertake any of the following restricted activities (import, possess, grow, breed, move, sell, buy or accept as a gift) involving a Category 3 species. No permits will be issued for Cat 3 plants to exist in riparian zones. 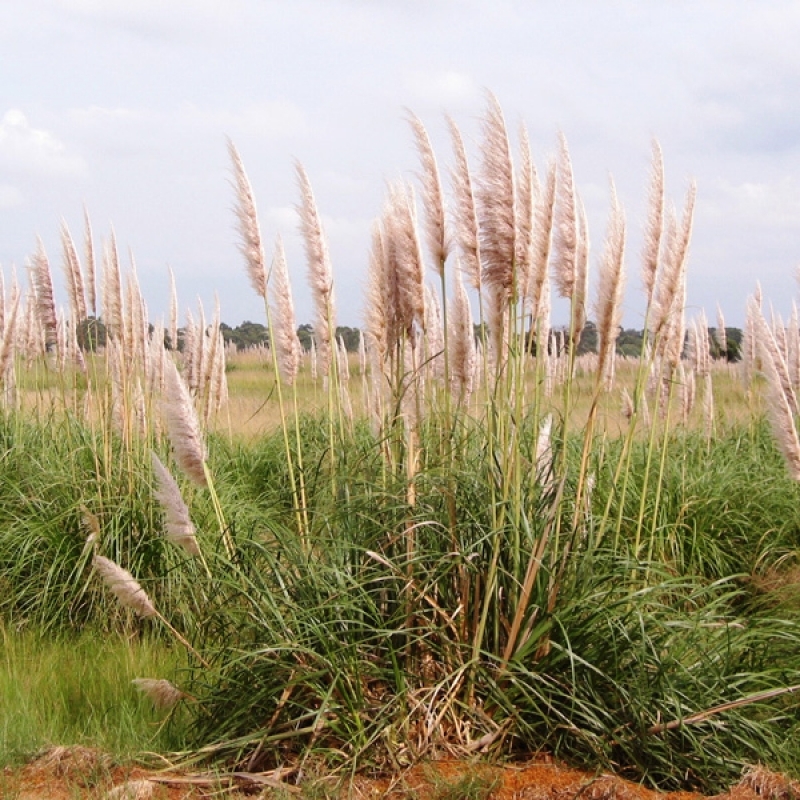 A lot of these plants were imported for ornamental purposes (such as the pom pom weed) or for a specific purpose such as stabilizing mine dumps where, because nothing else would grow, the pampas grass did an excellent job. However, due to the uncontrolled spread and the damage it causes to our biodiversity, it has since been declared invasive. 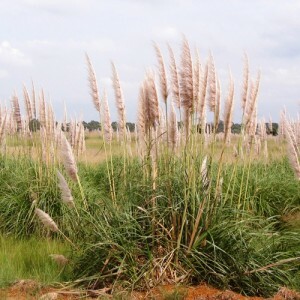 Some of these species that exist on our Estate is the dreaded pom pom weed (Cat 1b in Gauteng), the pampas grass (Cat 1b in Gauteng) as well as the dense-thorned bitter apple (Cat 1). The link to all invasive species in South Africa is www.invasives.org.za . This is a very useful website where not only the names and categories of the different species are provided, but also photos and proper description of the plants for easy identification. In many cases, suggestions of indigenous plants to be planted instead, are also provided.